My son turned five at the beginning of the summer. So the people who’ve been asking us since Age 2 when he’s going to kindergarten are finally up to date! In summer camp, my son was placed in the “kindergarten” group. He loved being able to say he was “in kindergarten”. So although I hate grade levels and wasn’t planning to use the K-word with him, I went with it. My son began reading fluently, voraciously, and even sneakily. It started with BOB Books and Teach Your Monster To Read, and proceeded to Elephant and Piggie. Suddenly I would walk into his room during “naptime” and find books scattered all over the floor. He’s been re-reading everything that we once read to him when he was younger! And then, he started mentioning events from read alouds that were in future chapters. This, more than anything, made me realize that we needed to up our game. 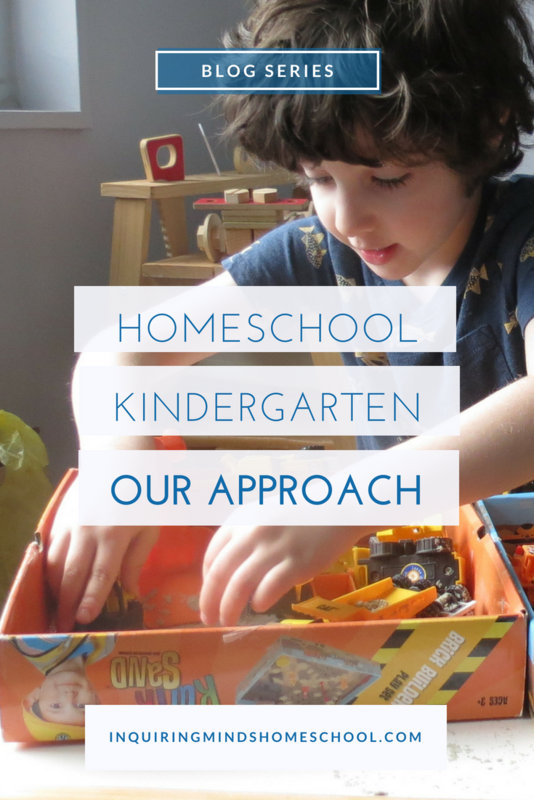 So, welcome to this series laying out what we’re going to be doing “for kindergarten” in our homeschool this year. Homeschool kindergarten is going to be such fun! Note: Every child is different, so you might find that what I’ve planned for MY kid won’t work for yours. And that’s ok! The beauty of homeschooling is that everyone can do what works for them. One size does NOT fit all! Disclaimer: This post may include affiliate links. As an Amazon Associate, I earn a small commission from qualifying purchases at no cost to you. Thanks for supporting this site! Learning happens all the time, not just during “school hours”. We can learn anything at any time of day, any day of the week, any month of the year. There is no “schoolwork” or “homework”, just “stuff we’re working on”. Everything we do in life involves learning. Learning includes traditional “school subjects” like reading and math, but also important life skills like learning how to swim, clearing dishes from the table, and getting yourself ready to go somewhere. Any activity or event is an opportunity to learn. An afternoon of Monopoly can count as math instruction. So can timing planes as they take off from the airport. Anything worth doing is worth doing badly. We don’t aim for perfection or an artificial standard. There’s always room for improvement. And it’s OK to be a beginner. Down time is important. We take a rest (which can include a nap) for two hours each day. Learning is its own reward. We don’t do grades, gold stars, charts to earn a prize, or bargains. Practicing a skill is not done in exchange for something unrelated, just as a way to get better at that skill. By presenting learning as intrinsically valuable and universal, I hope to help my child enjoy the work we do together. The other important thing to note about our homeschool is that we focus on play. We do not do “school at home”. Most of the “work” we are doing will be through playing. As I’ve written about before, play is the work of childhood. When my son puts together a LEGO set, he is working on sequencing and fine motor control just as hard as if he were doing pages in a workbook. Or harder! 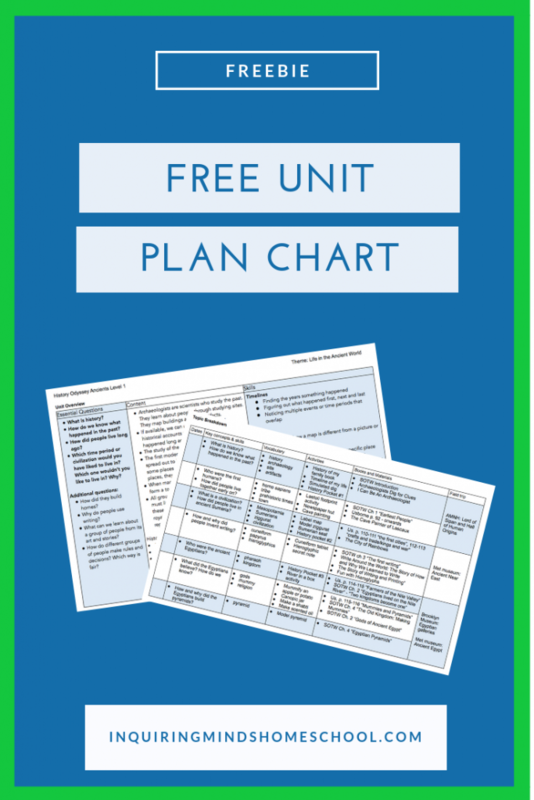 Before planning out anything, it’s important to know why you are doing it. What’s the point? It’s helpful to articulate goals so that you are pointed in a direction. I used to do this as a classroom teacher, and I still do it when writing curriculum for my consulting work. And naturally, I have goals for my own child. Here are my overall thoughts for where we are in each area. In the next few days and weeks, I’ll be adding posts going into more detail about how we plan to explore each of these. Yes, I’m starting here rather than with anything “academic”. We are working on winning and losing gracefully, helping out around the house, being gentle and kind to younger kids and to our pets (something he’s already pretty good at), trying new things, tolerating loud noises, and handling strong feelings. Normal 5 yr old stuff. Learning to swim over the summer was a huge confidence boost, as was meeting a bunch of nice kids at camp. The main goal was fluent reading, which has been met. So at this point, it’s really more about finding books that he likes and having fun with it. We will be using reading to explore other subjects, as well. He has most of K math down, so I’d like for him to master 1st grade level math by the end of the year. We may dip into some of the 2nd grade skills as well, depending on how it goes. I’m investigating different writing approaches and waiting to see which one might be best for us. We do a lot of storytelling and pretend play, and we read a lot. At K age, dictating stories and information is appropriate, so my son is doing fine in that regard. The main thing for him to work on is confidence and stamina with handwriting. He’s very self conscious about his handwriting, which has the effect of making him not want to practice. So a reasonable goal is to master formation of the letters, working towards handwriting a sentence on his own. We aren’t using a formal curriculum this year because we live, breathe, and eat science in our household. I teach science, so we often end up discussing it even when there’s no specific goal in mind. We’ll probably pick a few topics to do informal unit studies (like last year’s ocean and dinosaur explorations). Our two ongoing projects will be our new vermicompost bin and a pollinator garden, which we’ll set up in the spring. If we’re bored of worms by wintertime, I might add in Project Feederwatch. I like to pick open ended investigations that prompt questions, experiments, and research. The goal is simple: actually enjoy art. It hasn’t traditionally been my kid’s area. But he’s expressed an interest in taking an art class, so I am going to find him a good one. In the meantime, we’re loving the Elephant and Piggie Art-ivity Book. Also, we’re going to be doing a lot of art projects related to our history study. In the past, we’ve learned a lot about classical composers and famous pieces. This year I’d like to do musical instruments and styles as related to our history study – though it won’t be easy, given that very little music survives from that long ago. I’d also like to get him interested in learning an instrument. Preferably piano, but that’s up to him. We’ve been officially kindergartening – is that a word? it is now! – since the beginning of the summer. This included the time when my son was at camp AND when I was working at museum camp “full time”. As I mentioned above, we don’t have “school hours” or “school days”. We just learn whenever and wherever! Some of our best conversations happen in the car, in the bathtub, and at mealtimes! Having said that, we are finding a routine that works for us. We typically read first thing in the morning, before breakfast, and sometimes right after breakfast as well. Once we begin a book, my kid typically wants to keep going – even if it’s a 75 page Magic Tree House chapter book. He might play or fiddle with objects while we’re reading, but I don’t mind as long as he’s listening along. Morning is our time to run errands, hit the library, or go on an outing. It’s when my son concentrates best, so it’s also a good time to introduce new material or practice harder skills. Then lunchtime arrives, and kiddo watches Netflix while I cook. I have grand schemes to get him into the kitchen with me, but he also needs a brain break! We eat lunch together, read for a few minutes, and then comes REST. I’ll spend a separate post on all the research about sleep and downtime as it relates to learning, but suffice it to say that kids need rest. Occasionally, my kid still naps. But even if he’s looking at books on his own, or playing quietly, he has this time to consolidate what he’s been learning so far. Rest time gives him the mental white space to daydream, think up new questions, or doze off and replenish his energy. Afternoon tends to be a less structured time in which he does more free play or visits Grandma’s house for a while. Occasionally we’ll fit in more reading, especially if there’s a book he wants to finish. After dinner, there’s a brief playtime, then bath, then an evening story session, and finally to sleep. Another busy day! I work from home, so I use my son’s rest and nighttime sleep times as a chance to get my own work done. As we start more formal curriculum, I’ll be carving out time to prepare things. But to be honest, I find prepping for homeschool completely different than prepping for my classroom or for tutoring work. I don’t rush to have everything perfectly ready or make all my plans behind the scenes. The process of planning things out and making decisions IS part of the homeschool journey, so I let my son see and hear me doing those things. 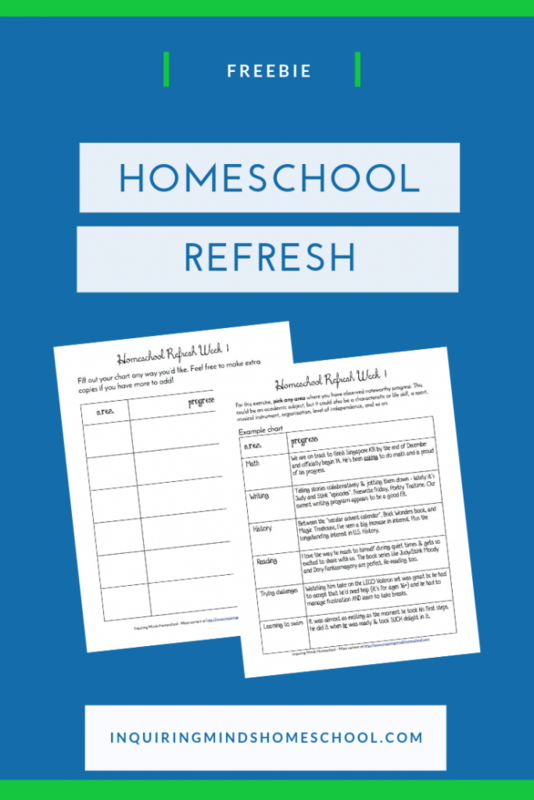 Look for upcoming posts about how to homeschool kindergarten! I’ll be updating this series regularly throughout the month of September.